Humana's board of directors has elected Dr. Karen DeSalvo, bringing the former national coordinator for health information technology on as its newest member. DeSalvo, 52, led the Office of the National Coordinator for Health Information Technology for a year and a half, until August 2016, overlapping her time as HHS' assistant secretary for health, a position she held through the end of President Barack Obama's second term. "Karen's experience as our nation's Health Information Technology coordinator and as a national leader in delivery system transformation will prove invaluable to our company's relationships with our members and our physician partners," Humana board chairman Kurt Hilzinger said in a statement. 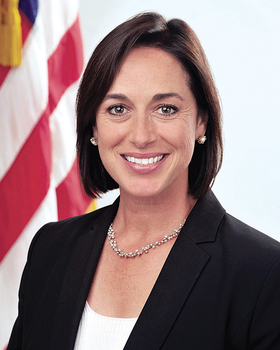 During her time at the ONC, DeSalvo tinkered with Stage 2 meaningful use requirements and the electronic health record certification process, furthering the ONC's goal of broadening the adoption of EHRs. She also pushed for greater interoperability, foreshadowing provisions in the 21st Century Cures Act that would later, a month before she left HHS, call for an end to "information blocking." Two national coordinators later, providers and vendors are still wrestling with those issues.